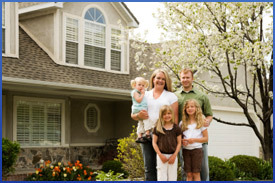 Blue Ribbon recommends service plans for all our residential customers. Both our plans include periodic preventive maintenance and emergency service, and our Plan B also provides coverage for many of your heating system's major components. In the event of a repair to a component covered by the plan, you will incur no expense. To enlist in a Blue Ribbon service plan, please call us at (973) 667-7988 or contact us. A well-tuned burner uses 5 percent less fuel than an out-of-tune one, so we strongly recommend annual tuning for all heating systems. Regular tuning also detects small problems before they develop into serious ones, so your system is less likely to fail and require an expensive repair. At Blue Ribbon, our technicians are highly trained, and they understand the nuances of today's advanced systems as well as the quirks of all the older systems that are still in use. conduct an efficiency test and a safety check. * Terms and Conditions apply. Plumbing work not included. Parts covered under Plan "B"